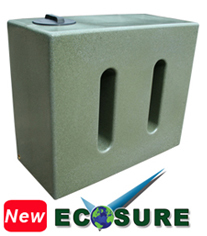 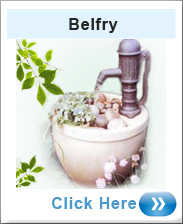 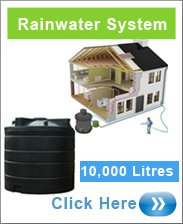 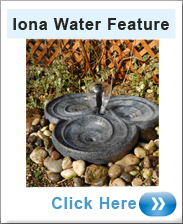 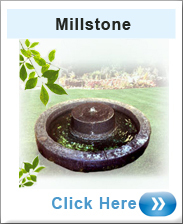 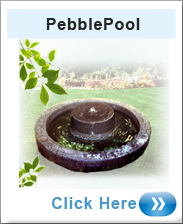 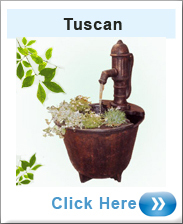 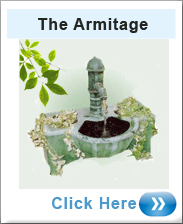 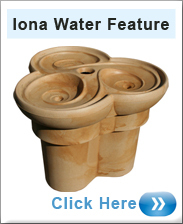 Beautiful and elegant looking water features that are made to give your garden a calming and relaxing feel. 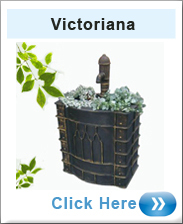 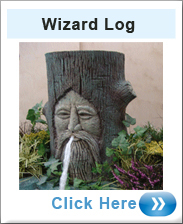 Many different styles to choose from which add that sensational garden decor. 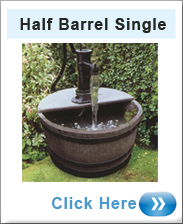 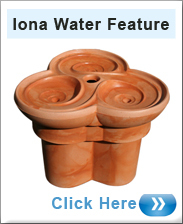 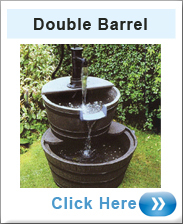 Garden Water Feature Single Barrel Is Half Of The Double Barrel and Still Looks Stunning In Your Garden. 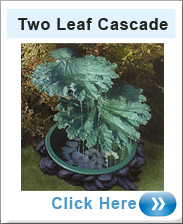 Leaves with their veins and natural curves, provide a glistening flow of water before splashing down in to the feature or pond. 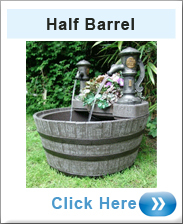 We are competitive with our dog baths in prices and they come in a variety of brightly refreshed colours. 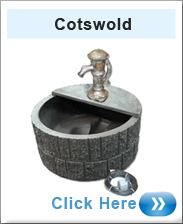 Optional small or large dog bath.